» Appearance on Guten Morgen Österreich (Good Morning Austria)! Appearance on Guten Morgen Österreich (Good Morning Austria)! 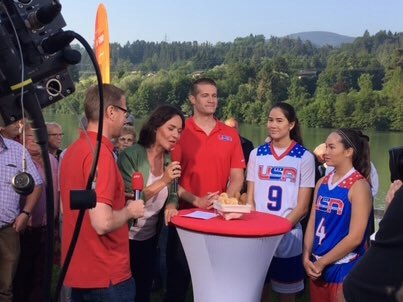 Enjoyed our national television appearance on Guten Morgen Österreich (Good Morning Austria) while representing the USA at the United World Games in Europe!! !